Something (similar) for the weekend? 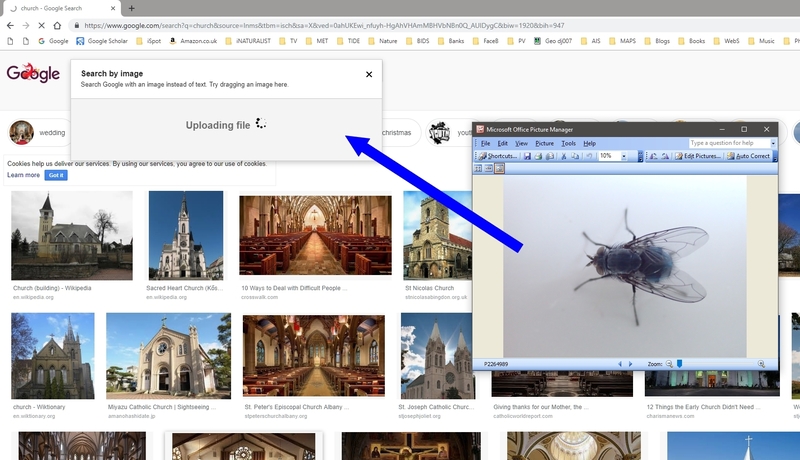 Did you know that dragging your Organism-photo to Google Images may give you an ID? Why have Citizen Science if it works? It does and it doesn't. I tend to use Google so this might not work in your own fancy Browser. 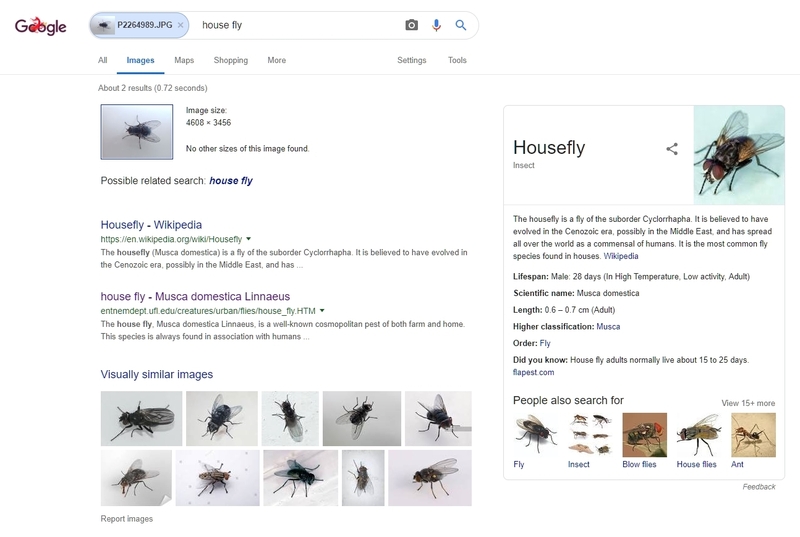 Of course, it isn't actually Musca domestica but who cares? 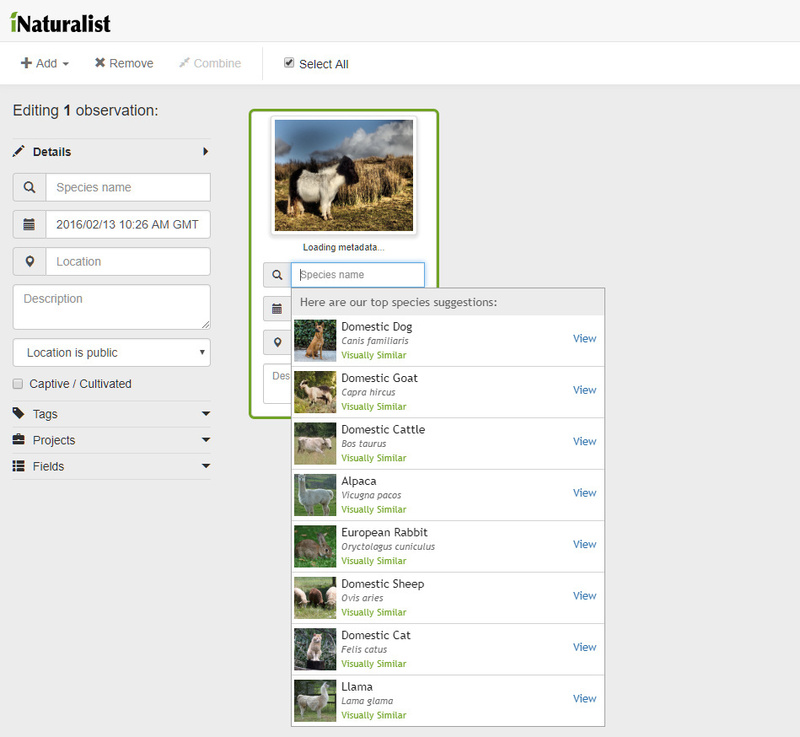 AI is used extensively in iNaturalist (heard off it?) You add the images much as you do here and up will come suggestions, Some people even accept them. Later, at night, under the cover of darkness, AI trawls the whole iNat Database and extracts all the new Likely IDs (called Research Grade there) and drops them into the GBIF Portal as Records. And if you have a few more minutes..
My - you guys are desperate. And we have AI on inat to: just put your cursor on the ID box and it gives the most likely options. And right now our southern African observations are being used to train the AI for southern Africa, so it will get even better. I wonder why he thinks we are desperate. WE are cool, gentle, enquiring and profesional. I really enjoy it here, where people talk to each other in a civilized way. And, you know, I don't think we are ready for AI just yet; to be honest, AI is really not ready for us yet, by a long way, we much prefer to add up the evidence, presenting it gently, in hushed tones and in that slow rather British way. we love it. I did test the Artificial Intelligence in iNat. It could have been worse. To be fair to TonyЯ, the iNat system does not do badly at all. In your example the AI seems to have recognised domestication syndrome. There's a PlantSpot app for Android which is supposed to use AI to identify plants from photographs. As I don't have a network connection when I'm in the field I haven't evaluated it. Neat: I'll see if something similar works on Firefox. But what a pity it rattled someone else's cage. No, didn't know about this. I tried it out on a Camberwell Beauty, which it did recognise, but will have a go with some more exotic species when I have a moment. Thanks for the tip. There are some scary / impressively accurate auto-ID systems out there. Check out the Merlin bird ID app (available in both iOS and Android forms I think) for instance. Over 900 gorgeous Slime moulds in the New Gallery. AI ID would be impossible!